It's Cruise June and we're 6 months away from our vacation with YOU in the Bahamas! Follow along with us all month on Facebook, Twitter, and Instagram for chances to win Cruise giveaways and to help us create "Our Cruise". We'll need your help choosing the drink menus, building the Official Cruise Playlist, and MORE!! We'll also be spotlighting a special Matchbox Fan and making the Cruiser of the Week as well as all of you Cruisers to our Twitter Cruise List! Say hello to our Matchbox Twenty Cruisers of the Week so far! 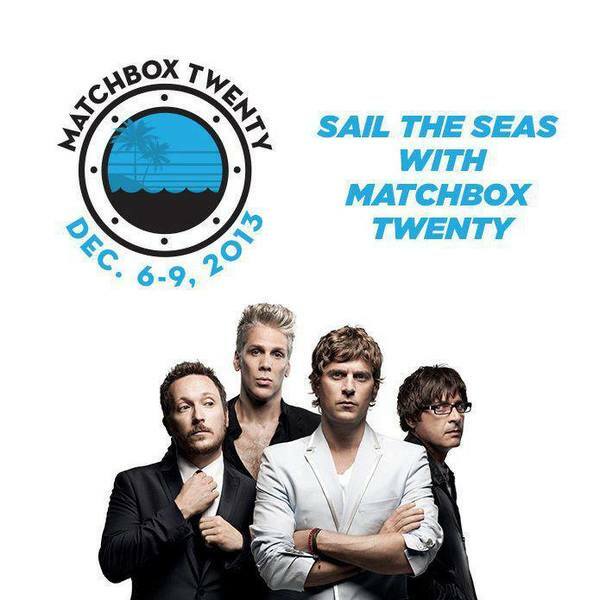 Book your cabin at http://matchboxtwentycruise.com today!